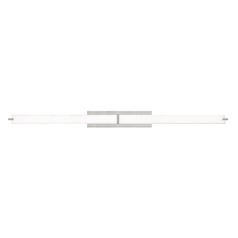 The following are detailed specifications about the Metro Satin Nickel Bathroom Light - Vertical or Horizontal Mounting. Rectilinear shaped light bar with multi-layered white frosted glass. May be mounted vertically or horizontally. Includes four 40-watt halogen mini-candelabra base lamps. 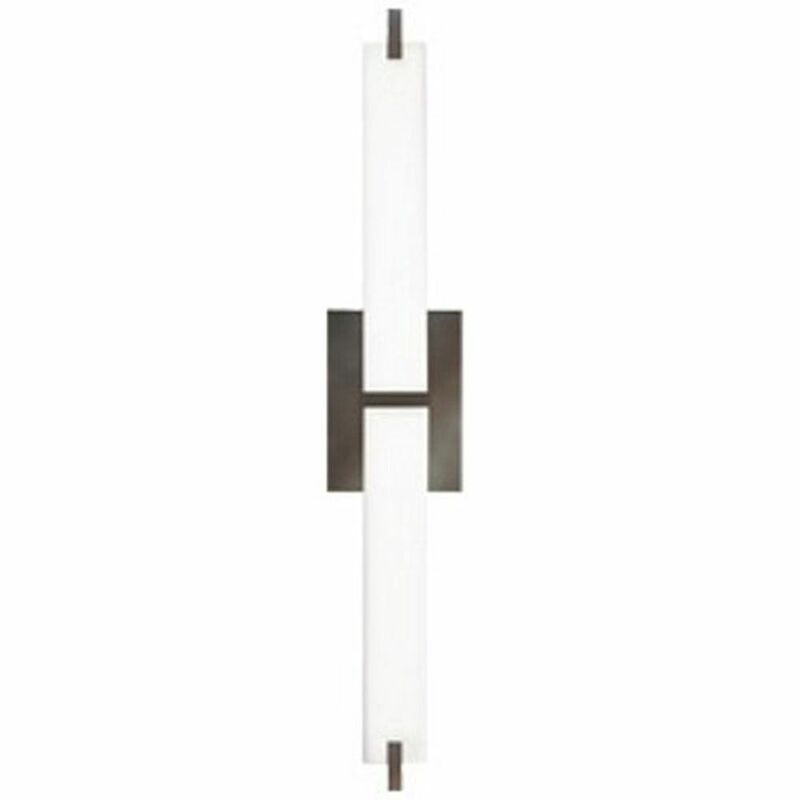 This Metro Satin Nickel Bathroom Light - Vertical or Horizontal Mounting is part of the Metro Collection from Tech Lighting. The following items are also part of the Metro Collection.